Disclosure: This post is in partnership with Delta Faucet. I received the faucet for free. All opinions are my own. I can’t even begin to tell you how happy I am to have the One Room Challenge finished, and Chris is really enjoying his new coffee bar. If you missed it, you can see the reveal here. 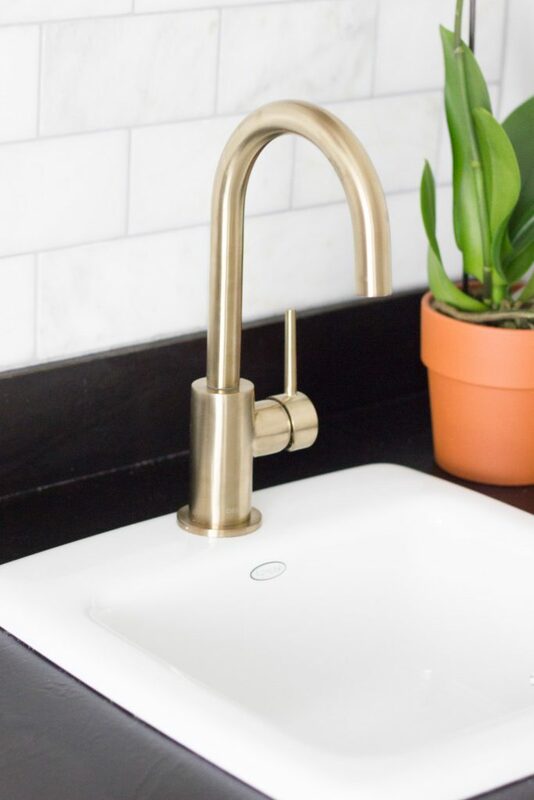 One of my favorite details in the space is the gorgeous Delta Trinsic Bar Prep faucet in Champagne Bronze. 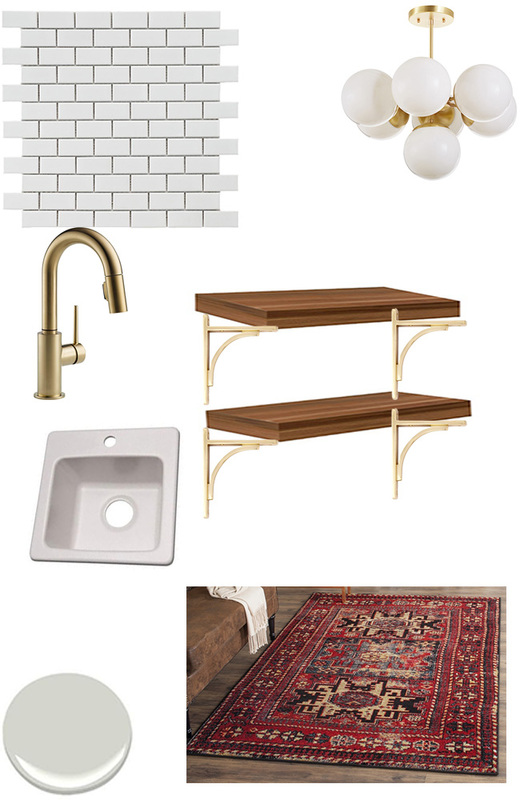 This faucet was actually one of the first items I knew I wanted for this space when I started planning it a couple of months ago. You can see it in the initial moodboard I designed here. It comes in 4 different finishes, but I fell in love with this finish the first time I saw it in the HGTV Dream Home last year. Delta Faucet was kind enough to take me along on a trip to tour the dream home, and it was amazing! (You can read all about my trip here.) I love the little bit of “glam” factor this faucet adds, especially against the Carrara marble wall. While we opted for the bar prep faucet, the Trinsic is also available in a single handle pull-down kitchen faucet with Touch 2.0 technology. My sister installed one in her kitchen, and you can check that out here. I’m so happy we went with the Trinsic. I love the sleek, modern design, and the Champagne Bronze finish is beautiful. 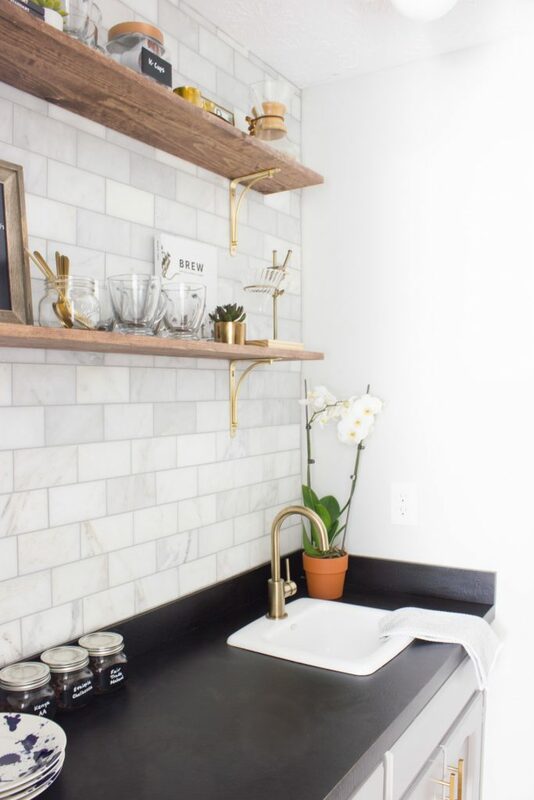 For more information, be sure to connect with Delta Faucet on Facebook, Twitter, Instagram, and Pinterest. 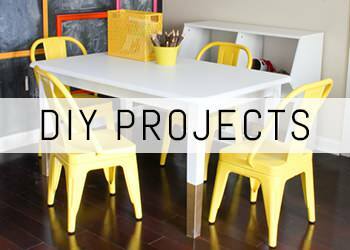 « Coffee Bar Makeover: One Room Challenge Reveal! Wow, love it and everything looks just great! Delta has always been my faucet choice. Yours is beautiful and perfect gor your style. Everything is beautiful Erin! I love the finish on the faucet so much! Champagne Bronze is perfect!! 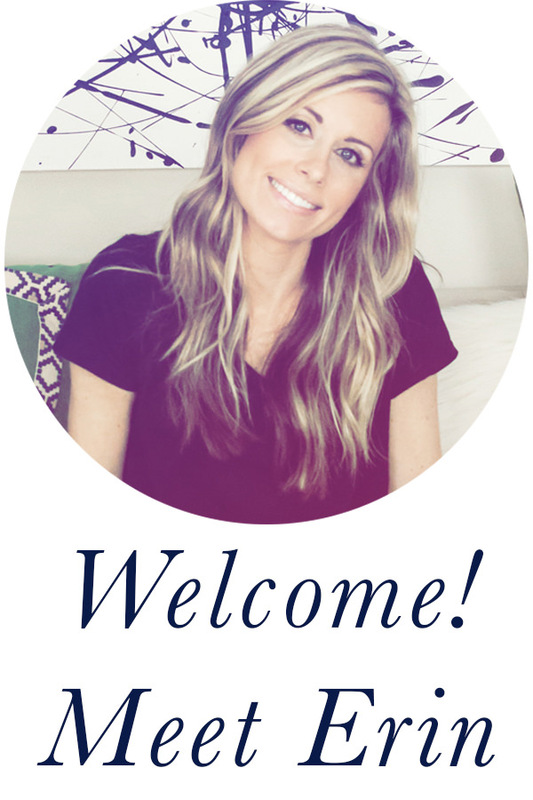 Erin, this whole space turned out gorgeous! 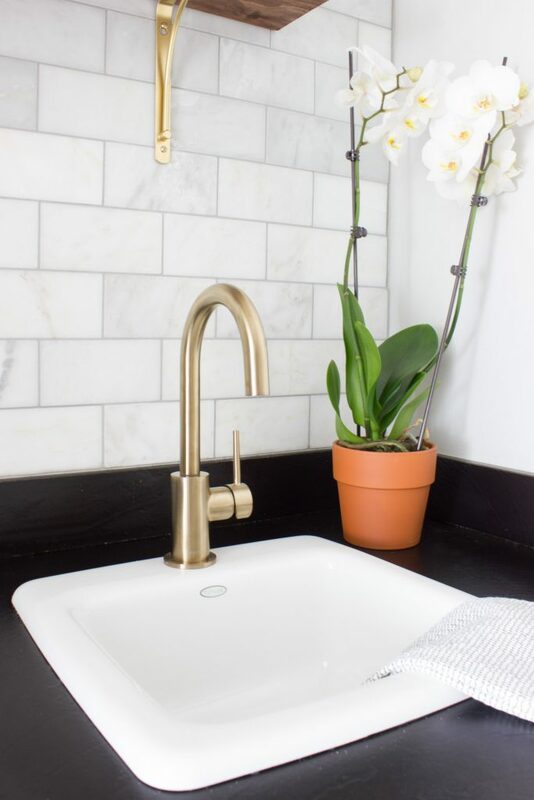 The gold touches though – especially the faucet just makes everything pop! Great job! Gorgeous! 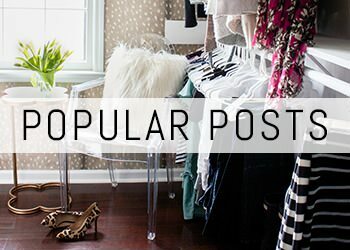 Do you mind sharing where you got the shelves from? THanks! Thanks, Lindsey! I built the shelves and will be sharing the details very soon!